Today’s fashion industry has long been embroiled in a sustainability challenge. Constantly contributing to the depletion of fossil fuels through its relentless use of natural resources to produce ‘Fast Fashion’ garments – trend-based clothing produced quickly and on the cheap – it’s a practice that is killing our environment. Arising in opposition to this is the ‘Slow Fashion’ movement which focuses on manufacturing clothes ethically and taking into consideration the workers making them and the natural environment. 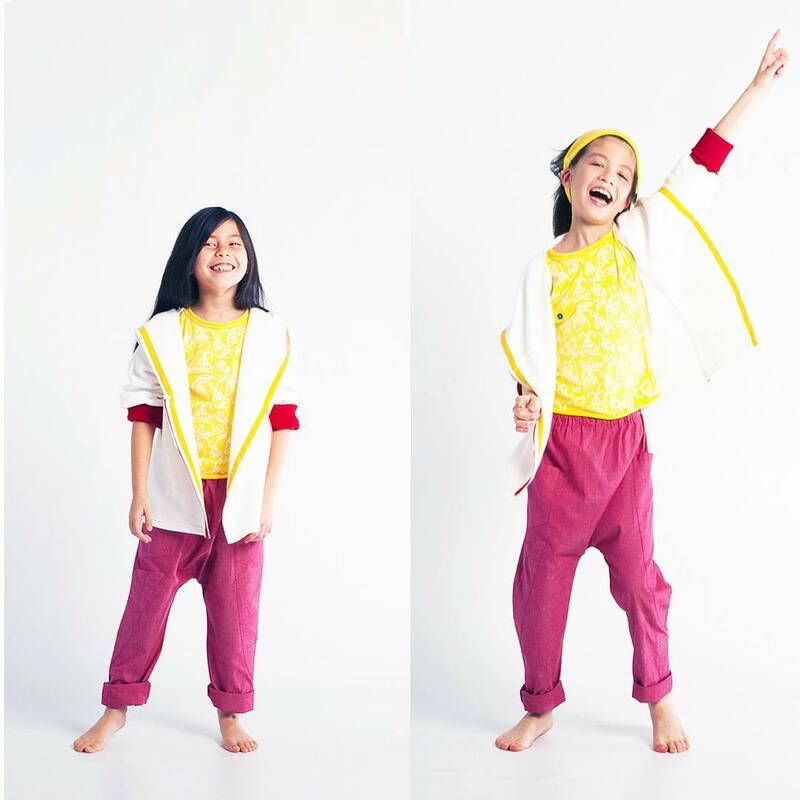 Clothing line Jake + Maya (Kids) is one of the brands leading this revolution. According to Greenpeace, the problems with fast fashion are copious: excessive water consumption (a single t-shirt takes approximately 2 700 litres of water to make), the utilisation of harmful dyes, an inability to handle the correct disposal of textile waste, and consumer overconsumption due to the garments’ low quality are just a few. 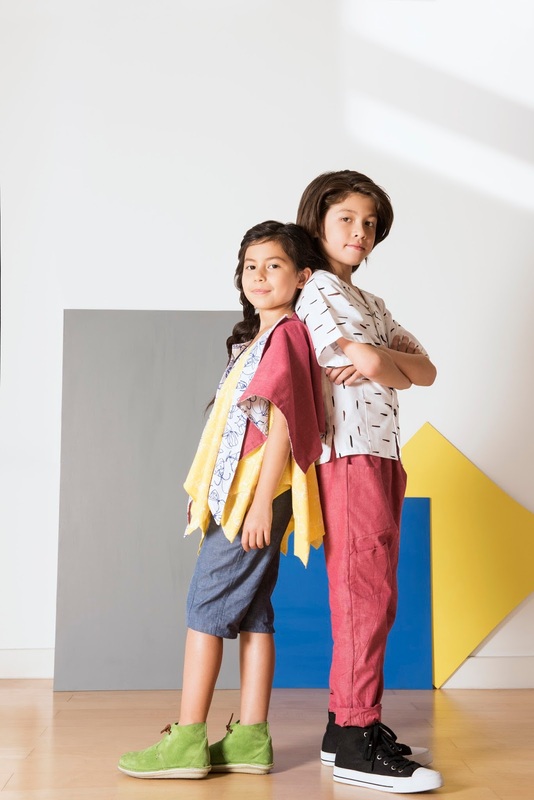 Jake + Maya (Kids) remedies all these problems with their "slow fashion" collection called "Metamorphosis". Featuring bespoke, elasticised waistbands on trousers, extendable hems and cuffs, and additional adjustable features, the Metamorphosis collection is designed to extend wearability and remain in children’s wardrobes through their growth spurts. 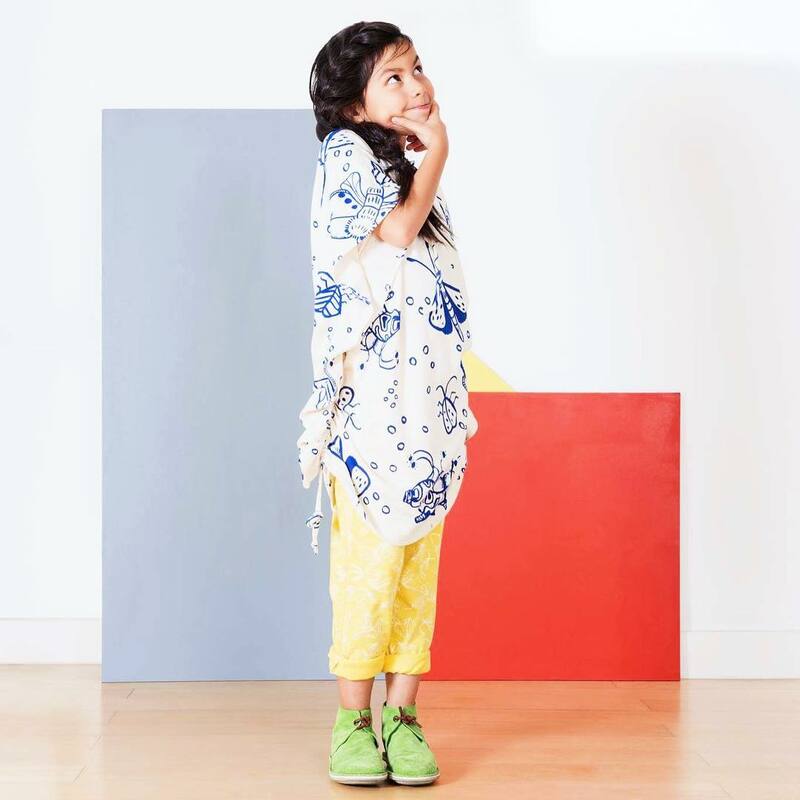 By utilising organic materials, water based dyes, and an ethical production and zero waste design process, the Jake + Maya collection aims to inspire the next generation to be more sustainable. Highly cognizant of the fashion industry’s connection to the larger environmental and social systems, the brand makes their decisions accordingly. Key items in the collection are designed to be reversible and multifunctional, and the prints used are gender neutral. The company has also wisely abandoned age-sizing, opting for a simple S, M, L in each garment. Items in the “Metamorphosis” collection can be pre-ordered as part of the Jake + Maya (Kids) Kickstarter campaign. The full collection of near-40 items will be made available soon.